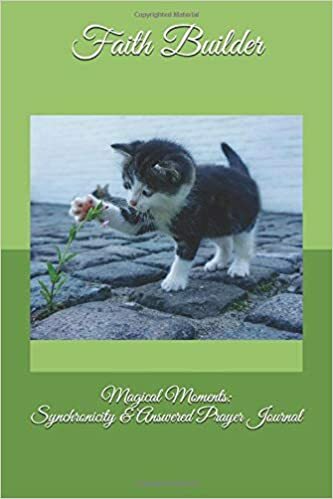 I recently figured out how to create journals specifically dedicated to recording synchronicities, dreams and answered prayers. Some people prefer lined journals with a spot for the date. I also added some dot grid options for helping people to “connect the dots,” while encouraging non-linear thinking and drawing. I designed these journals with reminders on the covers, choosing pen names, images and titles to build faith and jog memory when most needed. They’re 6 x 9″ to tie into Tesla’s quote, “If you only knew the power of 3, 6 and 9, then you would have a key to the universe.” They’re $5.55 to reflect the powerful change vibration of three 5’s together. Is the Universe talking to you? Recording dreams and “meaningful coincidences” helps you track recurring signs and symbols. When Great Mystery speaks, a synchronicity journal reminds you to pay attention and connect the dots. Logging synchronicities in one place can reveal long term patterns and a non-linear, guiding order of events. It also keeps you from forgetting or doubting your memory. Use this dot grid journal for writing, drawing, mapping and more. 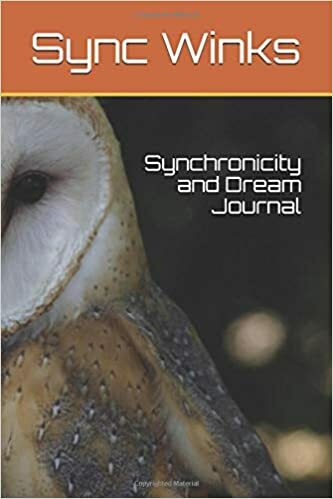 You can find this “Sync Winks Synchronicity and Dream Journal” here. Part gratitude journal, part faith builder, this dot grid notebook gives you one place to record the messages and miracles you receive. Reread your own stories of divine intervention whenever you need a boost of confidence or extra faith. When Great Mystery speaks, your synchronicity and answered prayer journal reminds you to pay attention. Logging synchronicities in one place can reveal long term patterns and a non-linear, guiding order of events. It also keeps you from forgetting or doubting your memory. The dot grid interior allows you to write, diagram or draw your experiences to see how little sync winks connect with each other. You can find the “Magical Moments: Synchronicity & Answered Prayer Journal” here. “But blessed are your eyes, for they see: and your ears, for they hear.” An answered prayer journal reminds you to pay attention. Recognize and record Divine guidance and support in your life. Keeping track of answered prayers, dreams, and “coincidences” in one place aids discernment and builds faith. It also keeps you from forgetting or doubting your memory. Use this lined journal to focus your prayers and celebrate the power of prayer. 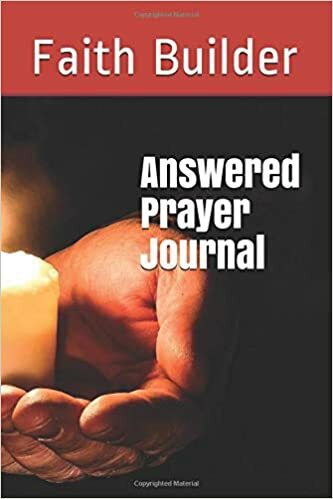 You can find this “Faith Builder Answered Prayer Journal” here. Keep track of your answered prayers, so you can remember God’s supportive presence in your life. Part gratitude journal, part prayer journal, this lined notebook gives you one place to record the messages and miracles you receive. Reread your own stories of divine intervention whenever you need a boost of confidence or extra faith. Green for abundance, with love, hope and prayer. 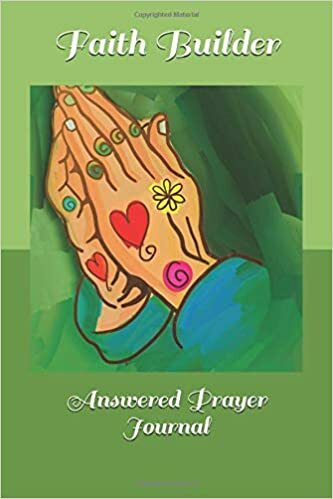 You can find this praying heart and hands Answered Prayer Journal here.